When I was 6 years old in the 60’s, I had my first hands-on experience with wetsuit. My father used an old sheet of neoprene to make me a wetsuit for swimming. I still remember the look of the neoprene being cut into shape and the smell of glue in our kitchen. I was interested to see all the stages of the process: measuring me to make the pattern, cutting the neoprene, gluing and put together the different parts. In order to put on the wetsuit, I had to use baby powder to make it slippery since there was no textile on the inside and the neoprene was very stiff. But the important thing was that I could start swimming in the ocean without being cold. In 1976 when the first Aquaman wetsuit made for scuba diving came out of our factory owned by my father. At that time we produced about 100 wetsuits just for scuba diving. Some of them were made by me. At age 19, I was sent to England to work in the production line in the biggest maker of neoprene. I worked in all stages of making neoprene like the extrusion, cooking, cutting the sheets and laminating them. At that time I didn’t know how useful that experience would be when I would work in collaboration today, with the manufacturer of neoprene for the making of Triathlon wetsuits. In 1983, I discovered Triathlon, and with the lack of wetsuits in that sport, the idea started popping into my head. 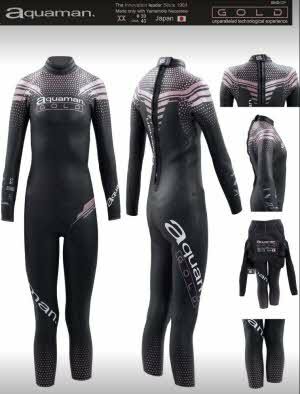 Soon I started working on this new project and in 1984 the first Triathlon wetsuit was made in the Aquaman factory in France. 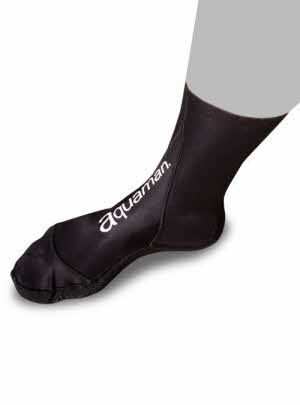 That year Aquaman started the foundation of the technique to make wetsuits that are used around the world today. 30 years later, Aquaman is still making the best Triathlon wetsuits in the world. We created in Europe the first wetsuits for triathlon in 1984. 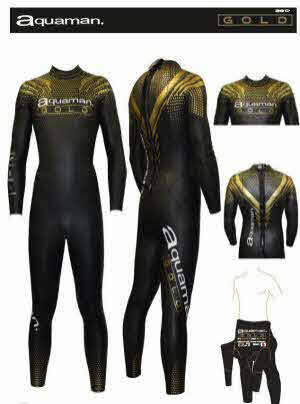 At this time triathlon was in its infancy and the need for wetsuits specially made for triathlon was finally there. 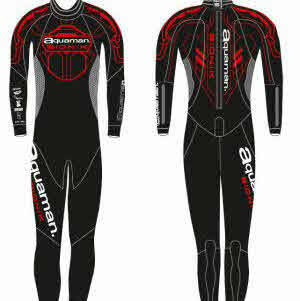 AQUAMAN put together a wetsuit which could provide warmth, freedom of movement, low water friction, and easy to take off. This was in 1986 when triathlon began to take off all over the world, the other companies started to make wetsuits for triathlon too but by that time AQUAMAN was technologically superior, and still is to this day. If you swim in an AQUAMAN wetsuit you’ll be sure to have a technological advantage over your competition and you’ll have the best chance to better your time.